When this form displays, setup dimensions relative to the bottom bracket will be displayed in the left-hand column. A graphic depiction of each dimension can be viewed by clicking on the label for each dimension. In the example below, Handlebar Reach has been selected. 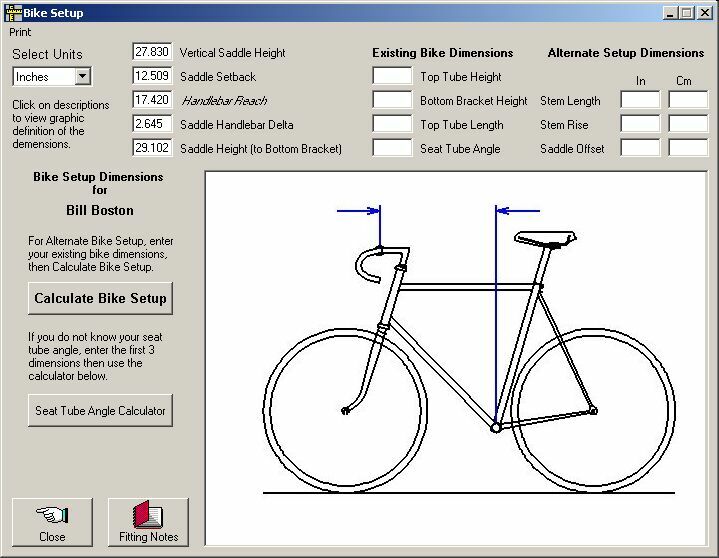 To calculate stem rise, stem length and saddle offset necessary to replicate this position on an existing bike, it will be necessary to provide the Existing Bike Dimensions in the center column.